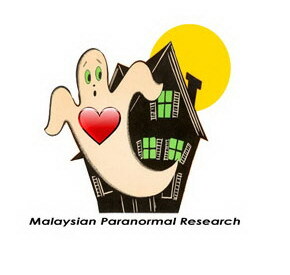 The Malaysian Paranormal Research collection of non-dust Ghost Orbs, Ecto, Human Shaped Apparitional Ghost Photos, Ghost videos and EVPs is one of the largest collection online in Malaysia . The collection mostly comes from the solo investigations by a professional ghost researcher and from our professional sub-team investigators based in Ipoh, Perak. The dust orb found on this site is only for comparison purposes. Ghost Apparition In Pudu Jail. June 2nd, 2012 by Arwin John. This video has captured a spirit energy in the form of dark apparition. Once again, this amazing video was captured in Pudu prison during our year 2012 Ghost research. The spirit was kind enough to accept the request which the researched made towards the spirit " to show it's entire configuration" in order to understand further spirit appearence pattern and how it forms. In the multiple series of video that we have captured, we have acquired a great understanding that further justifies the metaphysic appearence of the spirit. Below is a great example of spirit apparition. © 2007-2012. Arwin John. All Rights Reserved.